cruising into the station at about 40mph. That is a great sight! What has happened to US train manufacturing? One of the fabrication plants I have worked in made the cabins for Siemens high speed trains. Good to think that at least some Americans can get jobs as we get faster s! 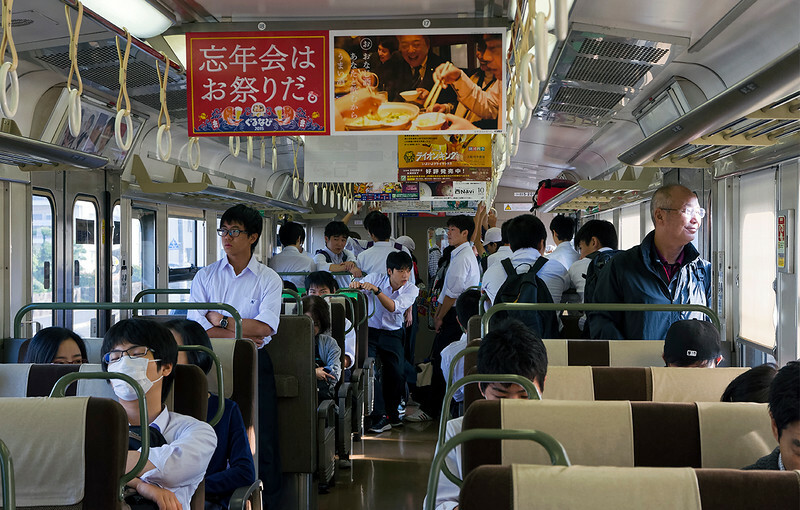 in Japan the travel infrastructure is primarily rail to move the mass quantities of people around. they, for the most part have standardized their rail cars with interior variations in class and distance to travel and area localization (color scheme). 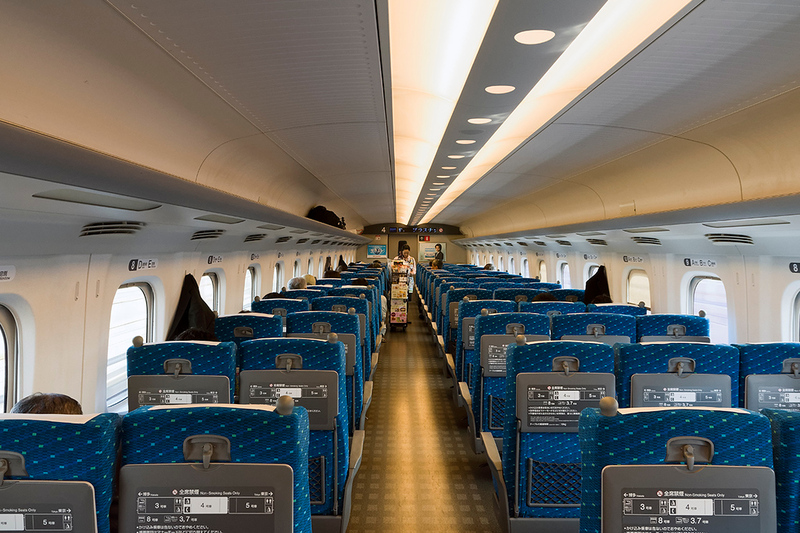 this image is of a standard class car on a Shinkansen. Japan also does not retire equipment w/o reason. they maintain their livery to a very high standard. on this image check out the students in the center of the shot and the reflection of their sneakers on the floor. So it seems that your original picture wasn't actually, as I first assumed, a fabulous Japanese bullet train in the USA! 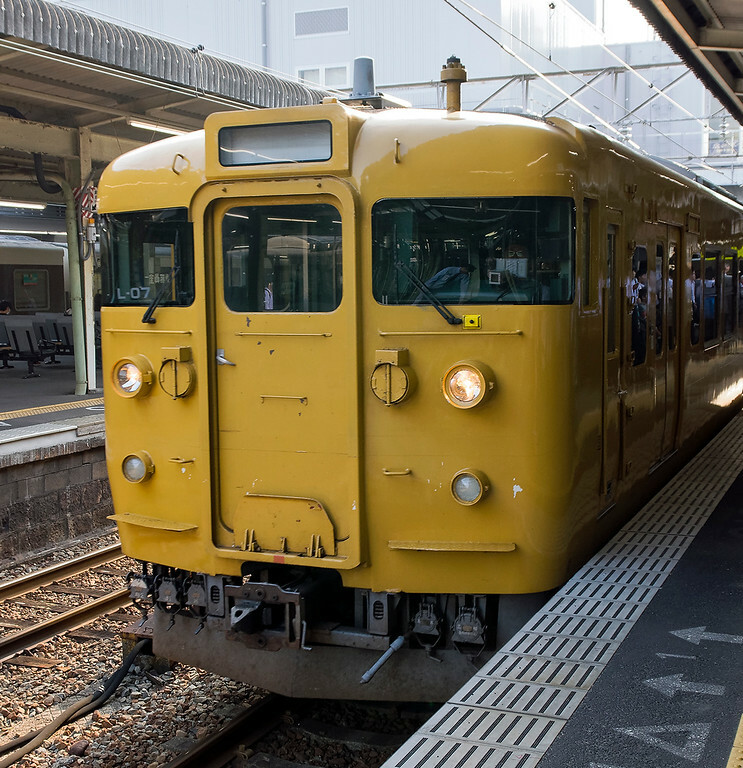 But now I realize that the Japanese seem to run their society, at least in their train system, with military efficiency. Re riots start with throwing away all clothes, standards of hygiene, obeying orders, skills to disassemble clean and reassemble their rifle in the dark, until they can be positioned and connected as sonecwell fitting "cog" in a giant society. Your photographs, (and the words accompanying them, are so helpful in getting beyond the engaging beauty of form that the trains display. 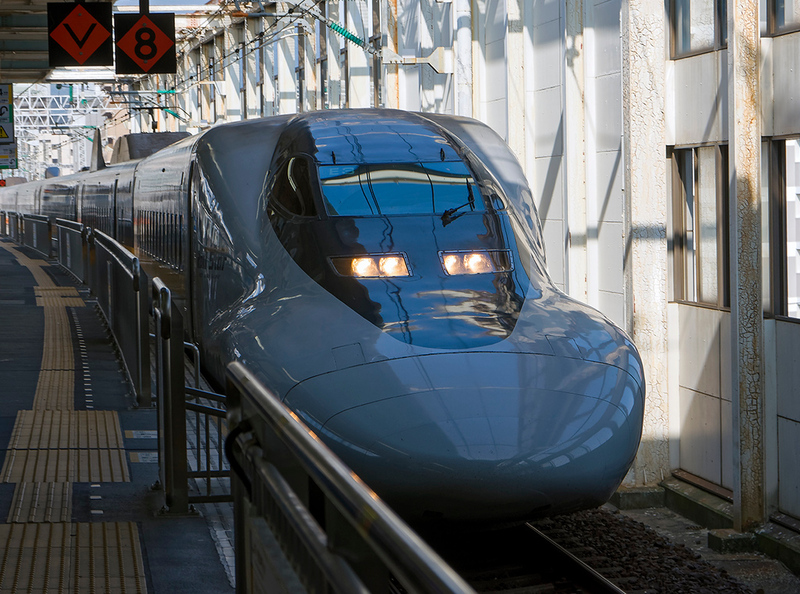 oh supposedly in the state of Texas by the year 2023 they will have an actual Shinkansen route in the state. Nice set of images...well constructed, great exposures too! I had to revisit this glistening train! I have been thinking a lot about this since I have studied the manufacturecof Siemens trains front cabin in Los Angeles. As modern as the train is, the front is made up of a collection of separate panels. The Japanese form seems to be molded in one piece. I guess it’s carbon fiber or fiberglass. The curved screen is sovperfectly fabulous too. I wonder whether there are structural compromises or perhaps they have a structural crumple zone to help protect the engineer driving the train? I am so in love with the beautiful and perfectly fabricated shape! I did some research. This design was inspired from nature: the Kingfisher’s bill slices into water almost without a sound! “ Whenever a train sped into a tunnel, it generated atmospheric pressure waves that reached the tunnel exit at the speed of sound. Like a piston in a cylinder, the train was forcing the fluid air out of the other end of the tunnel. The air exited in low-frequency waves (under 20Hz) that produced a large boom and aerodynamic vibrations. This problem was particularly troublesome because it was tied to both the geometry of the tunnel and the speed of the train. The micro pressure of the wave was in proportion to the ratio of the cross-section of the trainset to that of the tunnel. Moreover, every unit increase in speed was producing an increase in pressure to the power of three. The design team would have to find a way to redesign the shape of the train to go faster without creating the boom. The key was in preventing the pressure wave buildup by reducing the cross-sectional area of the train and redesigning its nose. A discussion with a junior engineer prompted Nakatsu to once again search for the answer in nature. The young engineer observed that the test train seemed to “shrink” when it was traveling through the tunnel. Nakatsu reasoned that it must be due to a sudden change in air resistance, from open sky to closed tunnel, and wondered if there was an organism that was adapted to such conditions. This beautiful image of a train seems to exemplify the outstanding technological and cultural advances of that society while at the same time reminding one of the form of a whale, a fellow species that society chooses to destroy. Excellent narration and photo story.